KOEI SUISAN is your first choice for Pacific oyster and Crassostrea Nippona from Sakoshi, Hyogo. Shipment of April - June, 2017 has ended. AKO CRYSTAL, be fostered by the forest and the sea, is a spring oyster of Crassostrea Nippona species.The moment you taste it, you will find a pure flavor and creamy sweetness spread.AKO CRYSTAL is a spring oyster which made from the essence of the forest of the gods and the Seto Inland Sea in it. Crassostrea Nippona, as a spring oyster of a year, only could be tasted in season. 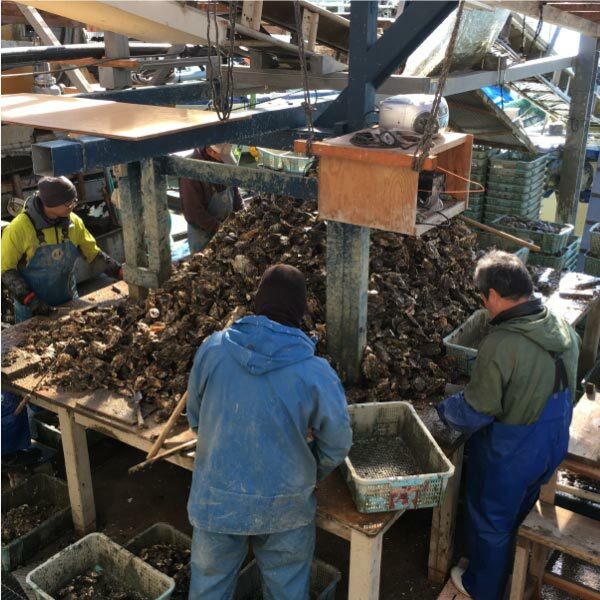 The season of rock oysters is said to be summer, but the local fisherman is looking forward mostly to spring oysters that took in the glycogen which is a flavor ingredient during winter. 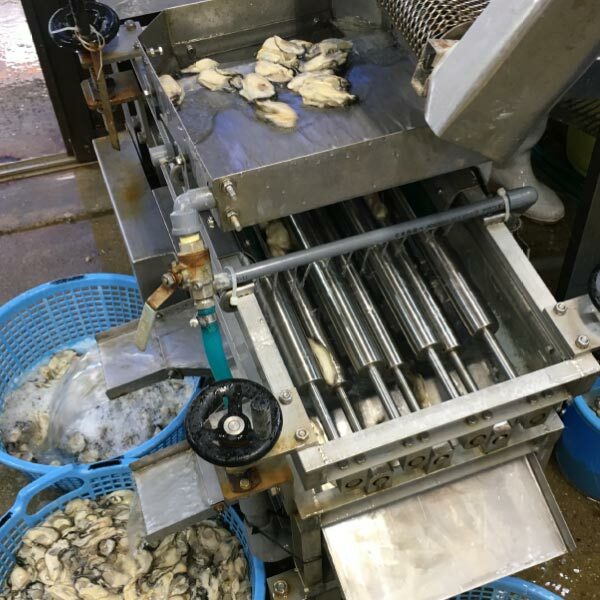 Moreover, it takes 2 to 3 years for ordinary Crassostrea Nippona ready to ship, while AKO CRYSTAL grow up and get chewy in the first year of spring in nutritious rich Sakoshi Bay. 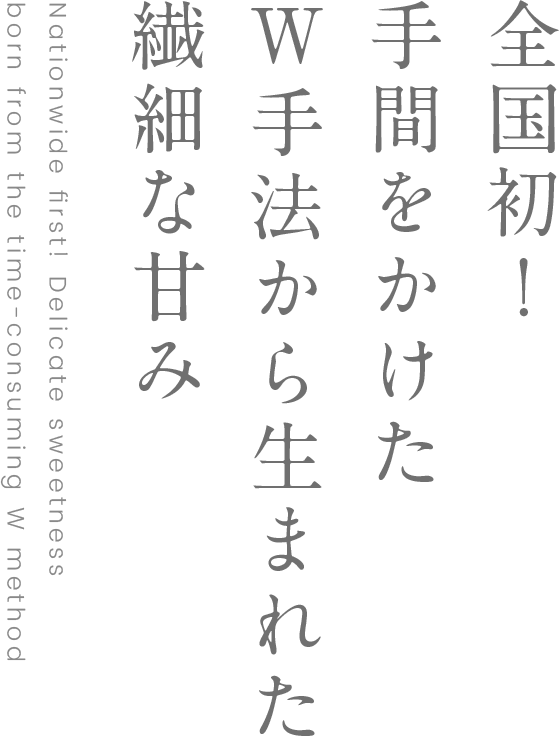 So the freshness and sweet you could taste has been aged for one year. “This creamy taste of spring, it will be a waste to be eat only locally. I want to deliver this seasonal deliciousness to everyone in the whole country.” After years of trial and error, finally in the Spring of 2017, the first shipment of AKO CRYSTRAL was realized. 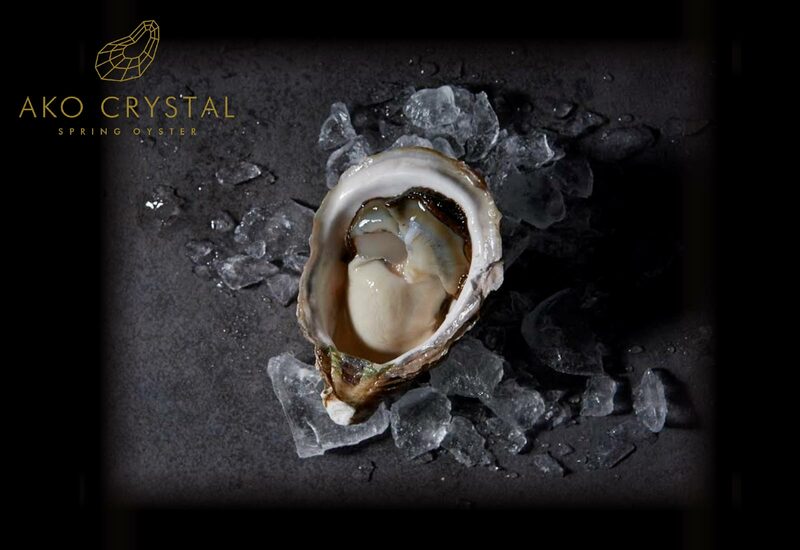 AKO CRYSTRAL tasted creamy and without sticky, as Crassostrea Nippona oyster, which good to enjoy with Sake or wine. Because it is a small oyster, 2 or 3 pieces could be eaten without realizing it. It goes without saying that it’s delicious to eat raw with a little lemon. Or if you choose to have it roasted, you can fell the rich flavor without shrink. 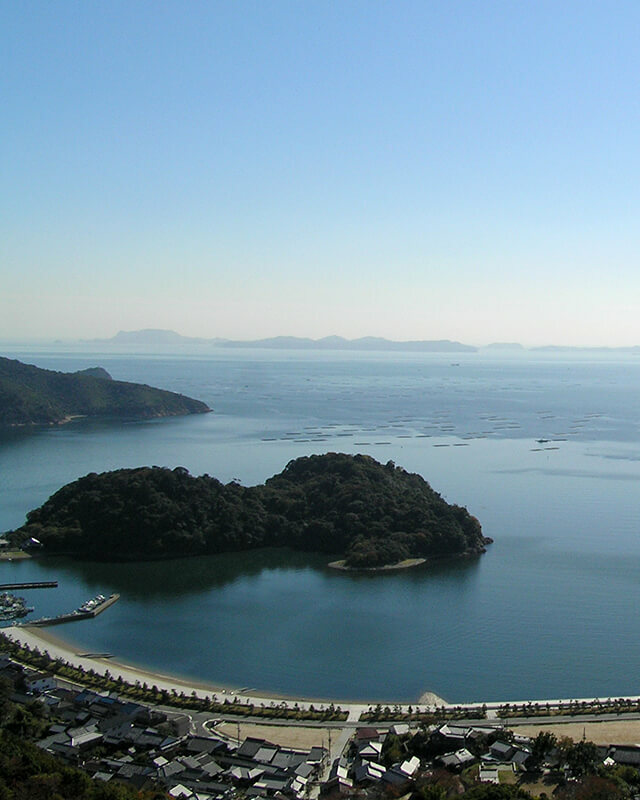 Have a look at Sakoshi Bay of Ako City, Hyogo. The island floating in the calm sea is Ikishima (Iki Island), as a god area of the Osake-jinja, which owns the fish-breeding forest has been forbidden to enter for a long time. 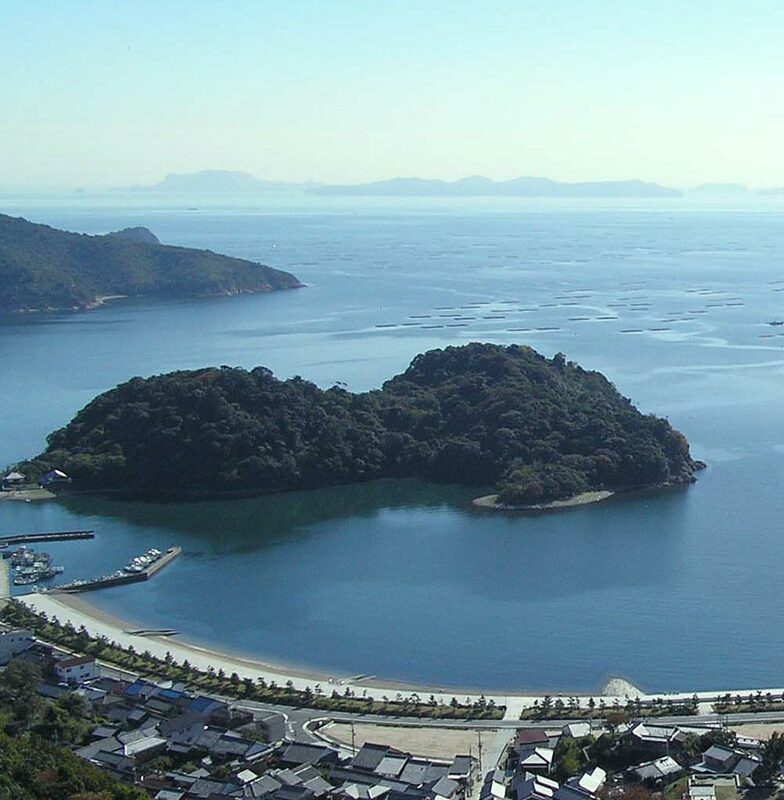 The sea area containing nutrients poured from both the Ikishima and the clear stream, Chikusa-river, is the hometown of AKO CRYSTAL. 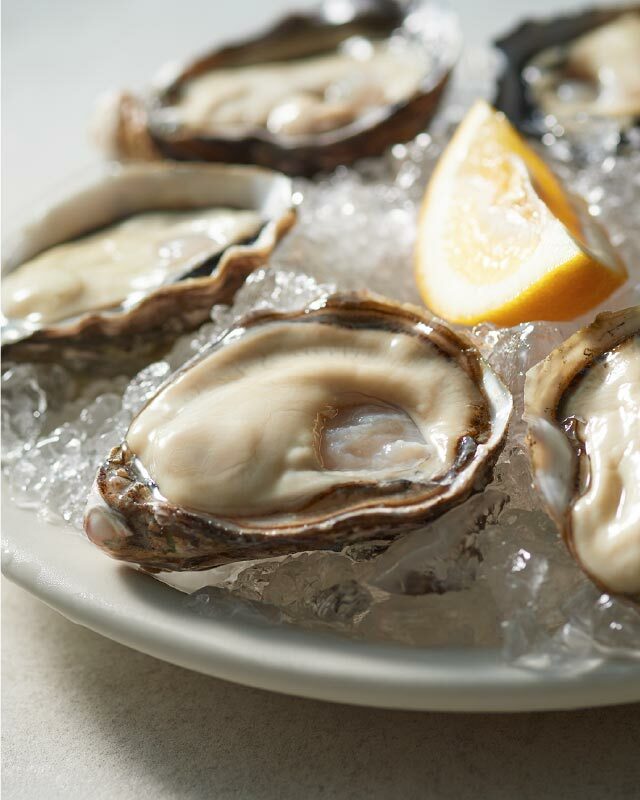 The rich ocean where the ancient nature remained is an optimum environment for growing delicious oysters. The biggest difference between ordinary oysters and AKO CRYSTAL, is how much time to be used manually for each piece. 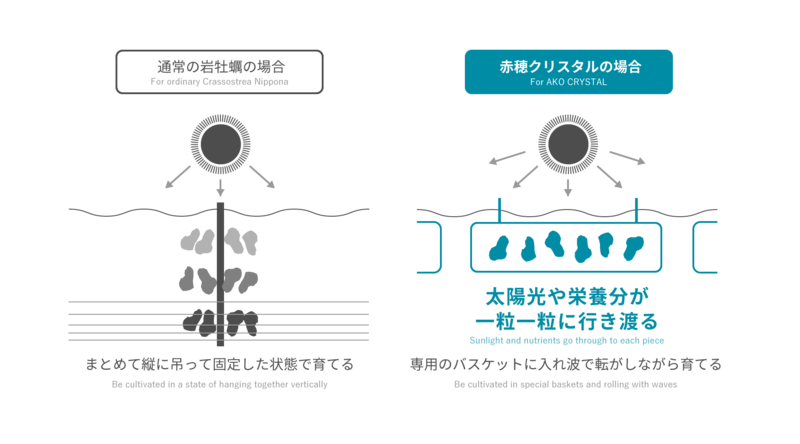 Crassostrea Nippona using "single seed" method of attaching one larva to one shell and the "basket aquiculture" W method are the first in the whole country. Be cultivated in special baskets and rolling with waves, it is crucial that let sunlight and nutrients go through to each piece. Furthermore, along with the growth, it is necessary to replace the basket many times and check the sea water temperature and tide to move the fishing ground. The good taste of AKO CRYSTAL is made with time and effort of producers. 8 years for development. 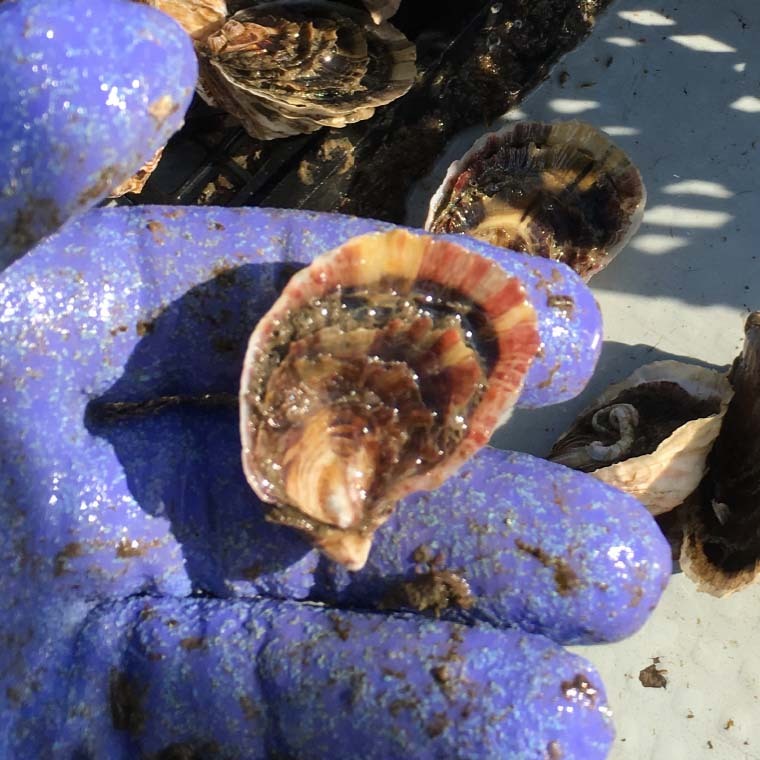 Like AKO CRYSTAL, summer Pacific oyster using "single seed" and "basket aquiculture" methods. Glossy shell, deep cup. Beautiful shape and rich freshness, gourmet food without doubt. 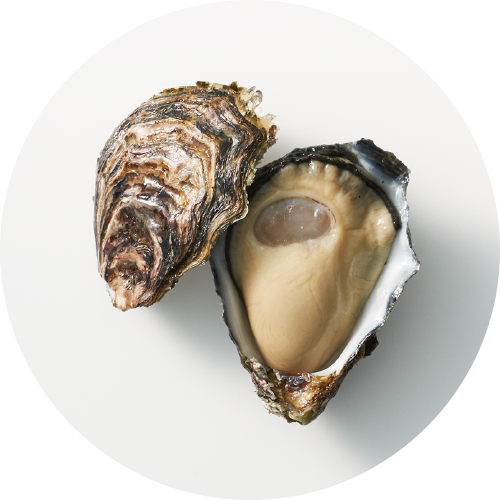 As everyone knows, from one of the few raw food sea areas in Japan, Sakoshi special shell oyster is cultivated with great care. Strong sweetness, crisp and simple taste. A carefully selected item that scents the ocean. Koei Suisan Co., Ltd. has a management philosophy of imagination and creation, and constantly challenges new initiatives. 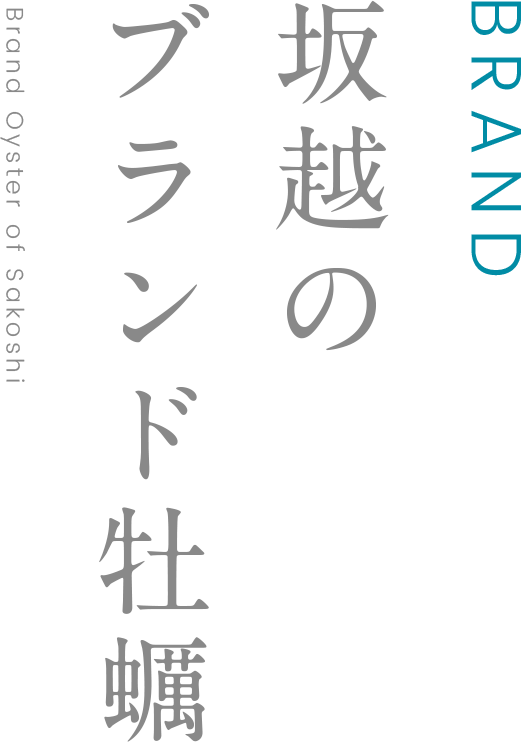 Through oysters, we would like to work on regional revitalization, cognition and value improvement of the Sakoshi brand. 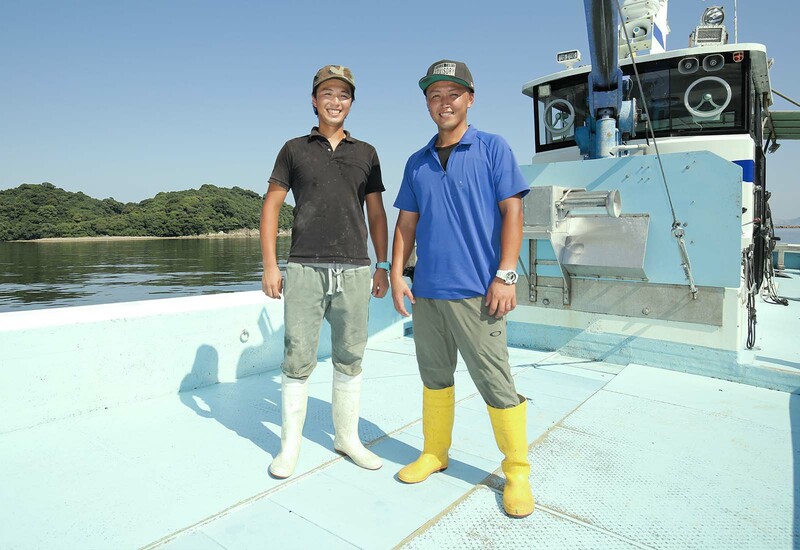 KOEI SUISAN cultivates oysters based on the strict shipping provisions of Sakoshi in order to deliver safe and secure oysters to everyone. Carefully peel off the shell of freshly picked oysters one by one, and clean it thoroughly with ultraviolet sterilized sea water. After that, the selected oysters are shipped by size, with the freshness intact. In addition, all series of work is treated with ultraviolet sterilization seawater. Clean the garbage attached to the shell, and return them to the sea. It will take about three weeks to let them gain weight and aged. 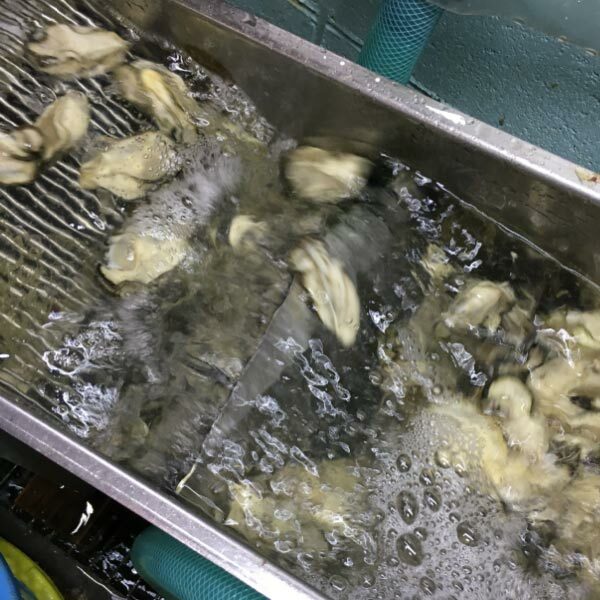 After this batch ripe oysters had been washed the shells, they are purified by ultraviolet sterilization seawater for 24 hours and shipped. 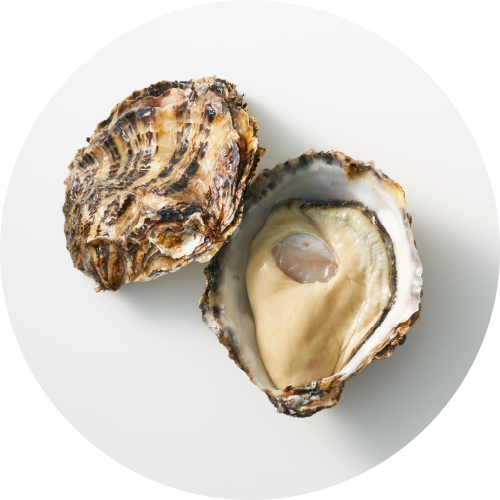 It is possible to serve Pacific oyster or Crassostrea Nippona oysters throughout the year. Please contact us anytime. We also make the best efforts to make delicious oysters in the off season by cleaning the workplace that peels off oysters, painting in the off season as well. 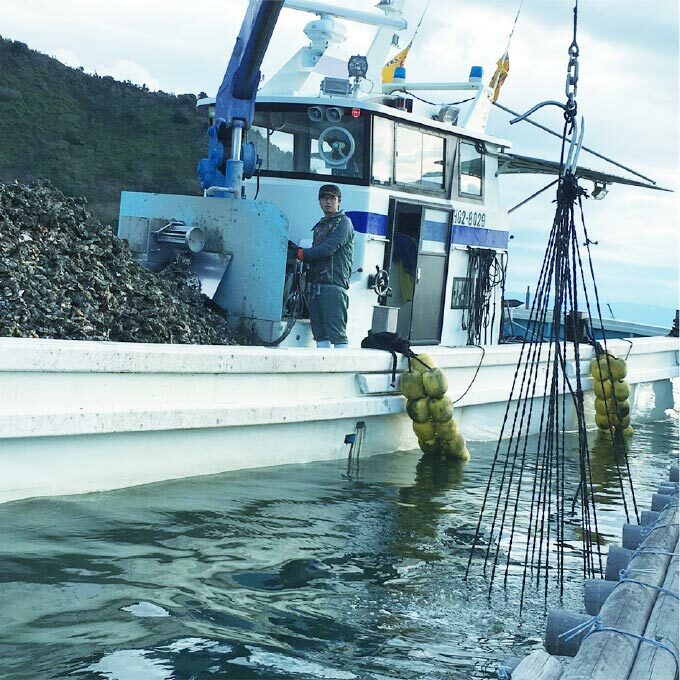 Q.冬の真牡蠣の出荷開始時期と終了時期はいつでしょうか？Q, When is the start and end time of shipment of winter Pacific oyster? A：11月から5月末までです。牡蠣年間カレンダーもご確認ください。A: It is from November to the end of May. Please also check the oyster annual calendar. 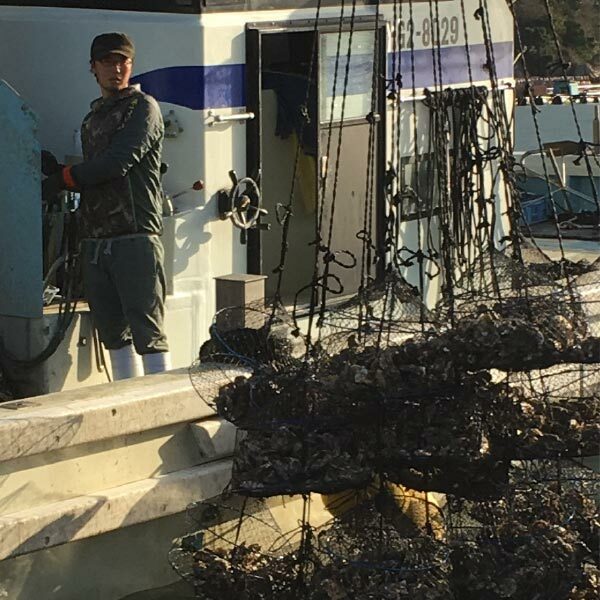 Q.牡蠣の価格を教えてください。Q, Please tell me the price of oysters. A：各商品の価格、お見積などのお問い合わせは、WEBフォームもしくはメールで承っております。お気軽にお問い合わせください。A: Welcome to inquiry the price, quotation or other information of any item, by web form or e-mail. Please do not hesitate to contact us. 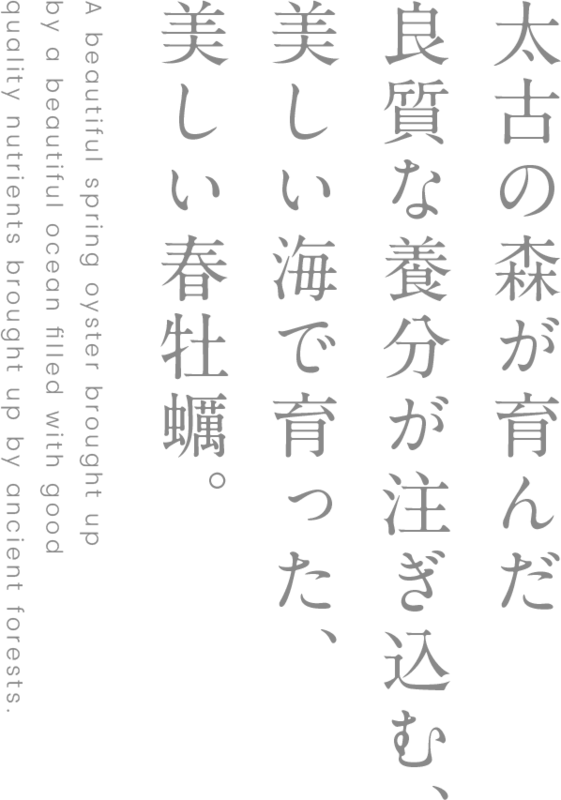 Q.牡蠣の状態を教えてください。Q, Please tell me the condition of oysters. 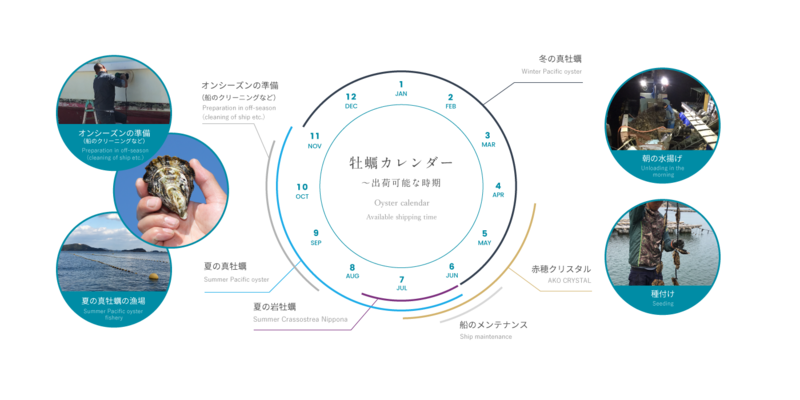 A.WEBフォームもしくはメールで承っております。お気軽にお問い合わせください。A: We accept inquiry by web form or e-mail. Please do not hesitate to contact us. お電話からのお問合せは下記番号にて承っております。 For inquiries by phone, please call the following numbers. Copyright © KOEI SUISAN Co,. Ltd. All Rights Reserved.